Enjoy a day of live music, light cocktails, tasty appetizers and social conversation ... on a Sunday afternoon. 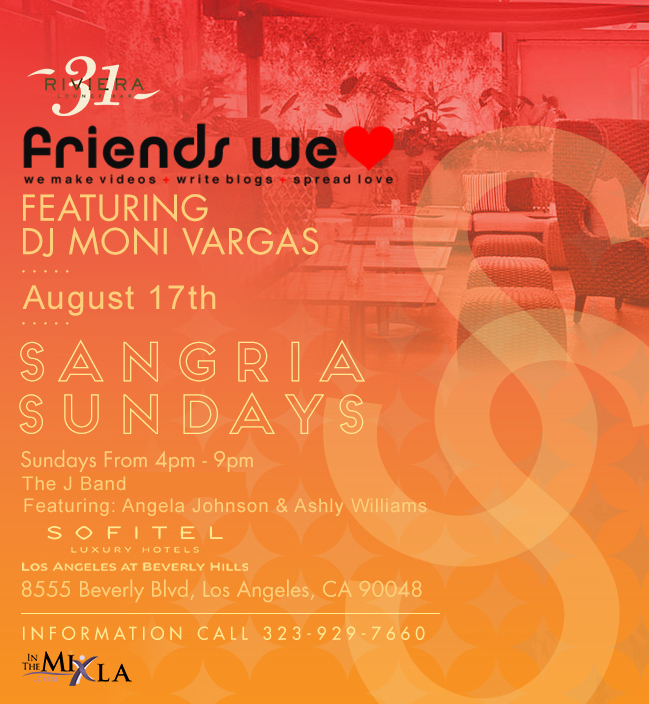 Experience the subtle inside our sophisticated cocktail lounge or take advantage of the CA sunshine on our beautiful patio, Sangria Sundays is the soiree you don’t want to miss. Sunday Afternoon Upscale Dress Code required. Men designer tees, polo shirts or collared shirts. Men no jean shorts or cutoffs, no tank tops, no athletic shorts, pants or shirts. Want a reserved table? packages start at $150 for 6 click here to reserve your table. There is also first come first serve seating in the lounge and on the patio, early arrival is suggested.